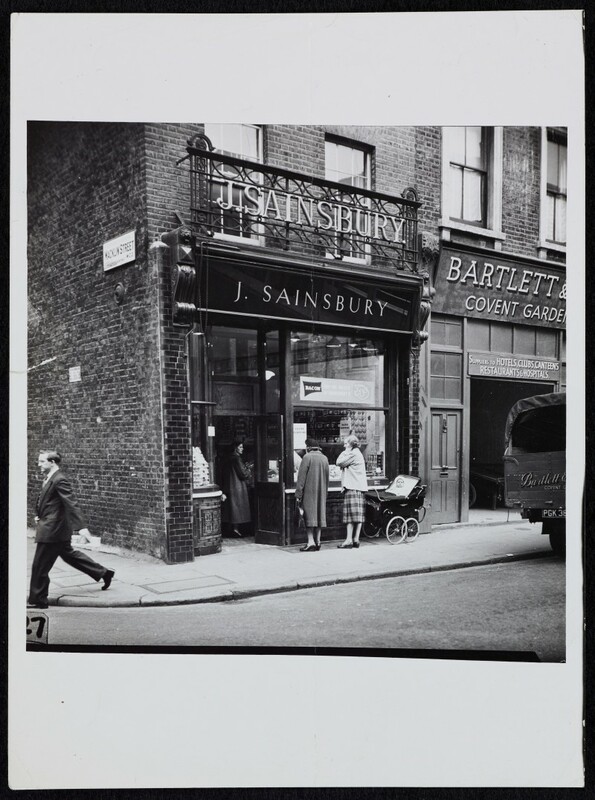 Photograph of the exterior of 173 Drury Lane branch (Sainsbury's first store), with two customers and a baby in a pushchair outside the shop. A poster "Bacon: See the prices at Sainsbury's" is in the window. Image also features Bartlett & Co next door. References on back of photograph: X47974 and 3200/14. There are three versions of the photograph, two cropped versions and one not cropped.